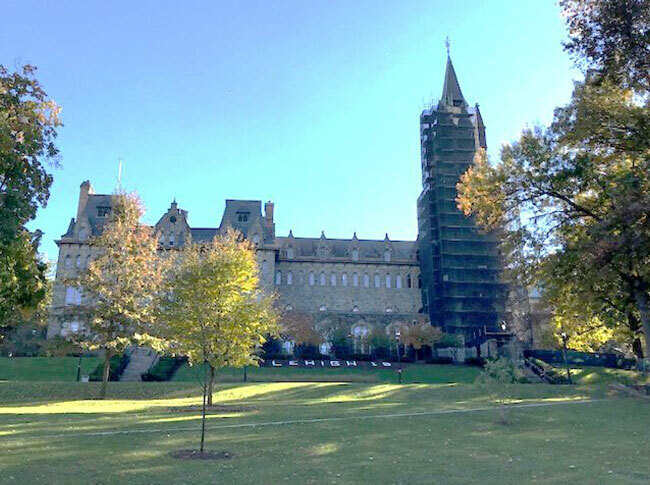 Allegrone Masonry working under Whiting-Turner Contracting has completed the first portion of a two-year comprehensive exterior envelope stabilization of the 160-foot, 140 year old stone tower in Bethlehem, PA. 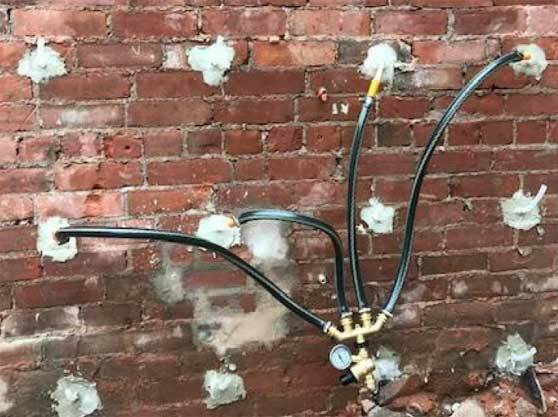 The VoidSpan Composite Masonry Stabilization System is being used throughout the tower and includes approximately 1,400 VoidSpan Port Anchors and 250,000 lb. of PHLc Grout, which his being supplied in 42,000 lb. intermodal rail container loads of 3,000 lb. sacks. VoidSpan equipped and supplied Pullman Services to injection our PHLc70 Injection Grout on the state’s $11.7 million seismic rehabilitation projects on an historic structure in Napa, CA. The courthouse has been empty since 2014 when severe cracking and a partial collapse from the South Napa Earthquake caused it to close. Grande Masonry working under Shawmut Design and Construction has completed the grout injection and cross-pinning of the library’s historic 13,000 square foot brick masonry shell, as part of a $100 million rehabilitation project resulting in an expanded and re-programmed central campus library in Northampton, MA. VoidSpan PHLc70 Injection Grout, more than 1,000 VoidSpan Port Anchors, and 4.000 VoidSpan-supplied Helifix ties were used on this project. Foland Waterproofing and Construction completed a comprehensive stabilization of the church’s 19 century tower in Easton, MA. 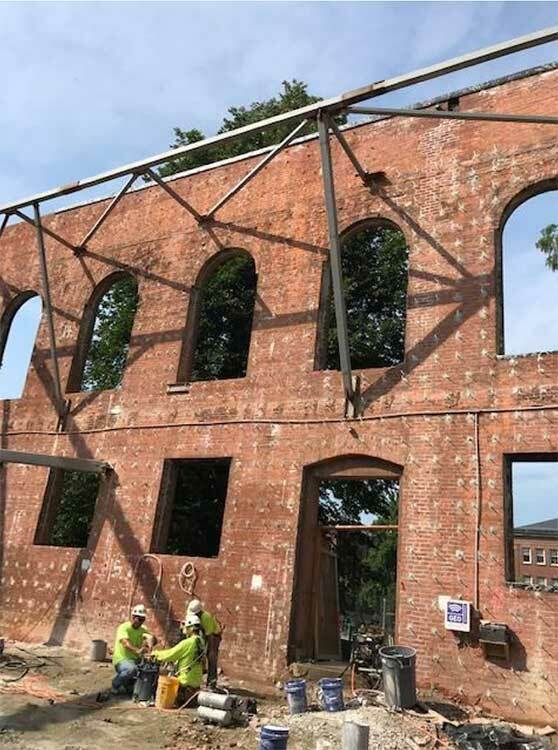 The project included jetting and grout injection of 20-inch loose-laid rubble tower walls with VoidSpan PHLc Gravity Feed Grout via high volume VoidSpan Port Anchors. MICRO CLEANING JETS- ¼” outside diameter, 180-degree, 3,000 psi cleaning apparatus to jet out friable materials from tight spaces to clear them for grout injection. SELECTIVELY CONTROLLED WATER INFUSION DEVISES (SCWIDs)- Multi-nozzled infusers that hook up to injection ports and slowly trickle-feed pre-dampening water into the substrate at 1 to 3 psi pressure. CUSTOM 3-D PRINTED IN-LINE FITTINGS AND NOZZLES- are now produced in-house by VoidSpan and tailored to meet the needs of each specific project. IMPROVED PRESSURE POT AGITATOR DESIGN- VoidSpan Pressure Pots now have a long stirring bar instead of a propeller to allow for more complete re-mixing of product during injection. CORE RETRIEVAL TWIST BAR- VoidSpan now makes a bar that can be inserted into a core and given a twist to snap off embedded drill cores for easier retrieval.